“The Leap into Freedom”. 1961. (The picture is linked from Imgur). 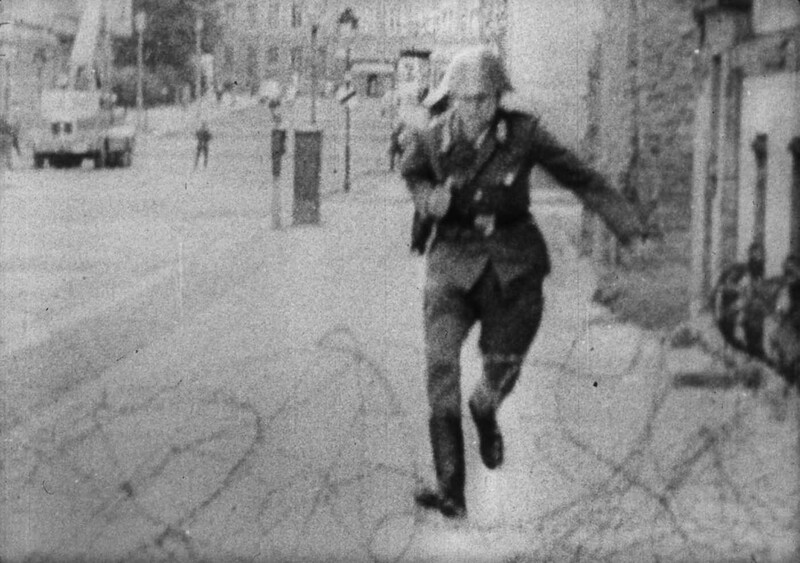 Conrad Schumann was immortalized in this photograph as he leapt across the barricade that would become the Berlin Wall. The photo was called “The Leap into Freedom”. It became an iconic image of the Cold War. Born in Zschochau, Saxony during the middle of World War II, he enlisted in the East German state police following his 18th birthday. Since he had always shown himself to be a loyal and hardworking young citizen of the German Democratic Republic, local military officials offered him an elite position in the paramilitary Bereitschaftspolizei or BePo (“riot police”), which was specifically conceived to suppress rebellion. On 15 August 1961, the 19-year-old Schumann was sent to the corner of Ruppiner Strasse and Bernauer Strasse to guard the Berlin Wall on its third day of construction. At that time, the wall was only a low barbed wire fence. At the same spot, on the West Berlin, was standing the 19-year-old photographer Peter Leibing. For more than an hour, Leibing stood watching the nervous young non-commissioned officer as he paced back and forth, his PPSh-41 slung over his shoulder, smoking one cigarette after another. “Come on over, come on over!” (Komm’ rüber!) the West Berlin crowd on Bernauer Strasse chanted. “He’s going to jump!” one passerby remarked. And at four p.m. on August 15, 1961, Leibing got lucky. Schumann tossed aside his cigarette, then turned and ran for the coil of barbed wire that marked the boundary between East and West. He jumped, flinging away his gun as he flew, and Leibing clicked the shutter. A nearby newsreel cameraman captured the same scene on film (the clip below). 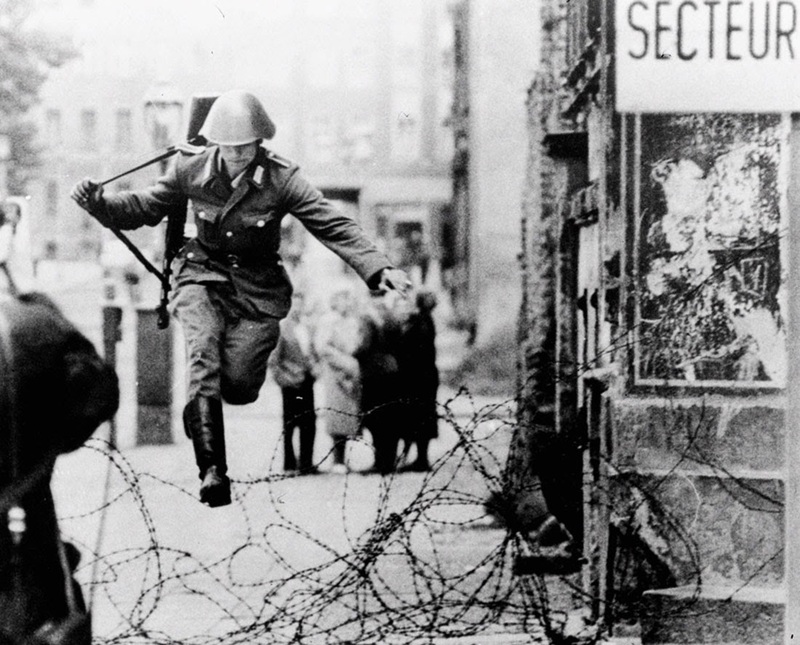 Conrad Schumann preparing himself to jump to the West side. (Still picture from the video footage). “Come on over, come on over!” (Komm’ rüber!) the West Berlin crowd on Bernauer Strasse chanted. (Still picture from the video footage). Schumann tossed aside his cigarette, then turned and ran for the coil of barbed wire that marked the boundary between East and West. (Still picture from the video footage). Immediately Schumann was driven away from the scene by the West Berlin police. Then he was brought to a local police station, where he requested a liverwurst sandwich and yet another cigarette. After a thorough interrogation, Schumann was handed a plane ticket for Bavaria – a place as far away from the GDR as he could get. Later he ended up as a winery worker in Bavaria. But fame and escape brought him no happiness. The police psychologist who interviewed Schumann in Berlin shortly after his escape noted in his report that the soldier was deeply distressed at the publicity his act was going to bring both him and his family at home. Not only did he have severe qualms about having deserted his comrades in the midst of a “combat operation” and having violated his sacred oath, he also feared for his life. There were a number of proven cases of East German refugees and even West German critics who were either murdered or kidnapped by Stasi agents. Twenty years after his jump, Schumann stands before the iconic photo by Peter Leibing. 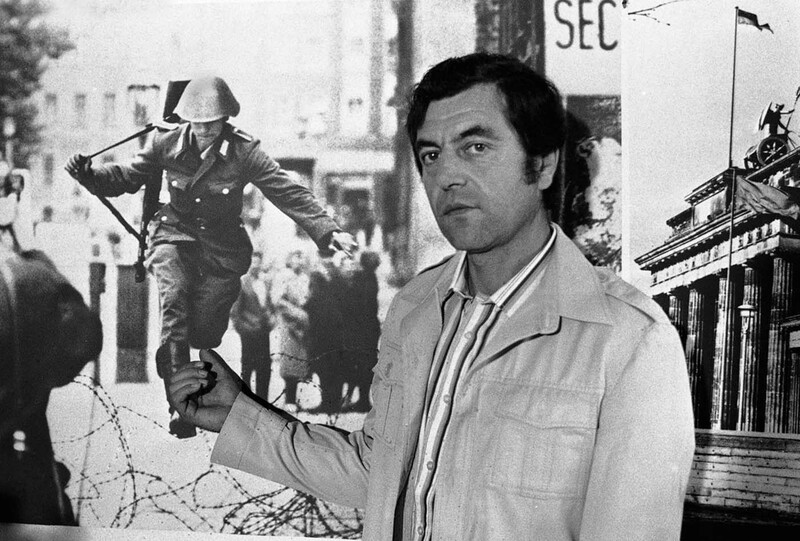 In an interview in the 1990s, Schumann told reporters that he only really felt free after the fall of the Berlin Wall in 1989. Even so, he avoided visiting his parents and siblings in Saxony for several years following reunification, and his former comrades wanted nothing to do with him. Once a deserter, always a deserter. On 20 June 1998, aged 56, suffering from depression, he committed suicide, hanging himself in his orchard near the town of Kipfenberg in Upper Bavaria. (Photo credit: Chronos Media GmbH – Getty Images / Peter Leibing). The PPSh-41 was designed by Georgy Semyonovich Shpagin, improving from the initial PPD-40 (made by Vasily Alekseyevich Degtyaryov). Georgy Shpagin also worked with Vasily Degtyaryov on the DShK (still used today, in modernized versions). AK-47 rifles were still needed to arm the many different USSR armies (and communist rebels) around the world (as engagement ranges increased, making the PPSh a worsened choice for regular armies), thus why paramilitary forces guarding the borders and suppressing civilians unrest were given WW2-era weapons, such as the PPSh-41. It should be noted there was around 5 millions of PPSh by the end of WW2, so it's very likely that the USSR still had 2 millions of PPSh still in working order in 1961 (with 3 millions being distributed to satellite countries and guerillas, and even more cheap copies being licensed), making it a logical choice for secondary forces, especially when the other available firearm was the bolt-action Mosin Nagant (dating back to 1891)(the SVT-40 being too rare and difficult to maintain). A very sad ending to the story, with Schumann committing suicide. Freedom took a heavy and sad toll on this young man. Completely wrong. Freedom is what he longed for, although afraid and scared. The paranoia, fear, and threat that the Stasi/KGB put into those who dared escape their utopian government is what lead him to it, the inability to cope with being alienated from his family. Held hostage in an evil empire of communism. Blame what caused it. Its scary to see young people not realize it wasn't "freedom" that killed him but the fear of socialism's death reach. 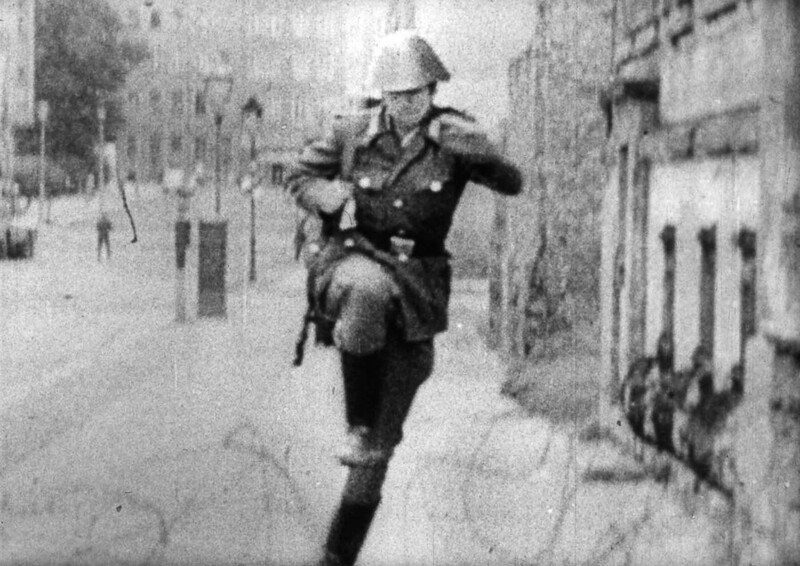 The photograph I have always found thought provoking.Having seen it again and the figure being given a name I looked it up.I was saddened to find that having taken that leap to freedom Conrad Schumann had taken his own life.I wish I had not enquired further,just sad. I wonder if things would have been easier for him if the photo had not been taken. I do wish photographers and media would actually think about how their actions effect the people they're photographing/reporting on. Eventually committed suicide from the years of fear, paranoia, and separation. He still felt the desire, the human, natural desire, to run to freedom. 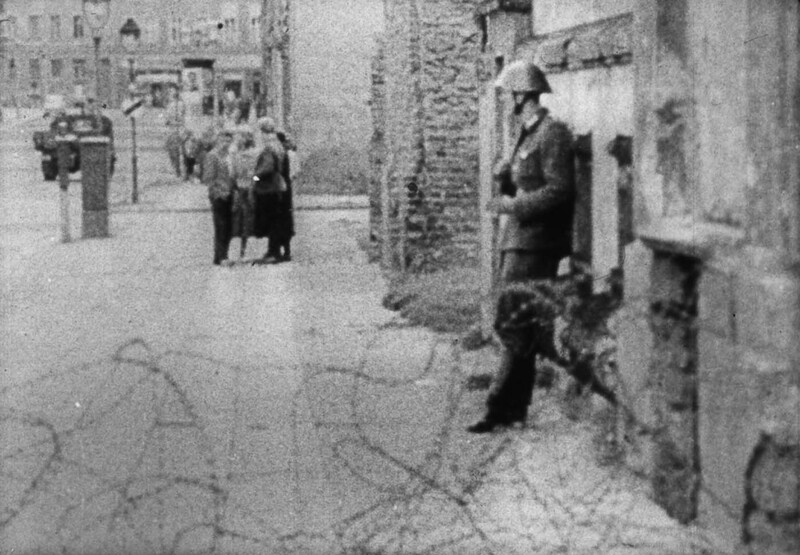 The STASI/KGB hunted those down who dared leave their Utopia, turned families into hostages. Murdered dissidents, and terrified the mind of this man. Even though he escaped he died a victim of communism. Let this be a lesson that the new, warm embrace of socialism shown by many young (and ex-KGB/politicians) will eventually turn into the cold blade in the gut of freedom and human rights.